The French build pretty good warships. Good enough for the French Navy and evidently also good enough for many other navies of the world to have contracted the French shipyards to have ships built for them. An example would be the six Formidable-class stealth frigates of the Republic of Singapore Navy, a derivative of DCNS's Lafayette-class frigate. 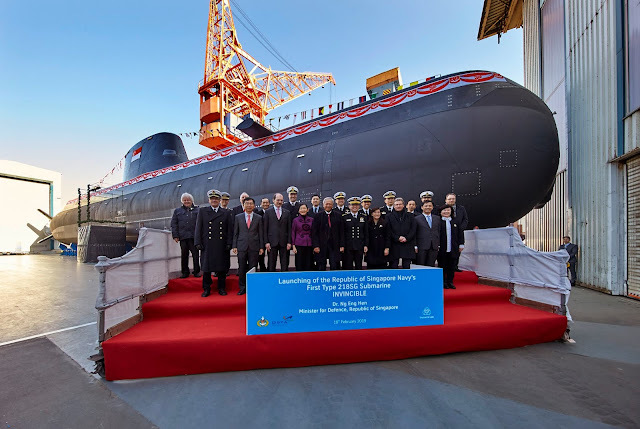 The French shipbuilders also churn out other high-end stuff like the Barracuda-class nuclear powered hunter-killer submarines and the conventionally powered and widely exported Scorpene-class SSK. 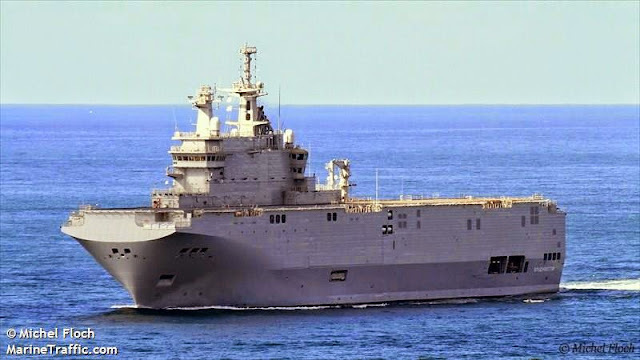 Of course they can also build aircraft carriers and amphibious assault ships, like the Mistral-class BPC, for which the French Navy had already acquired three. BPC ( French bâtiments de projection et de commandement ) means " Projection and Command Ship ", the equivalent of the LHD or Landing Helicopter Dock amphibious assault carriers of the US Navy. I could never understand why Russia had to buy the Mistrals from France. They had been constructing amphibious assault ships of their own designs in the past like the Project 775 Ropucha-class, Project 1171 Tapir-class large landing ship ( NATO reporting name Alligator ), the Project 1174 Ivan Rogov-class and the most recent and still in production, the Project 11711 Ivan-Gren-class large landing ships. 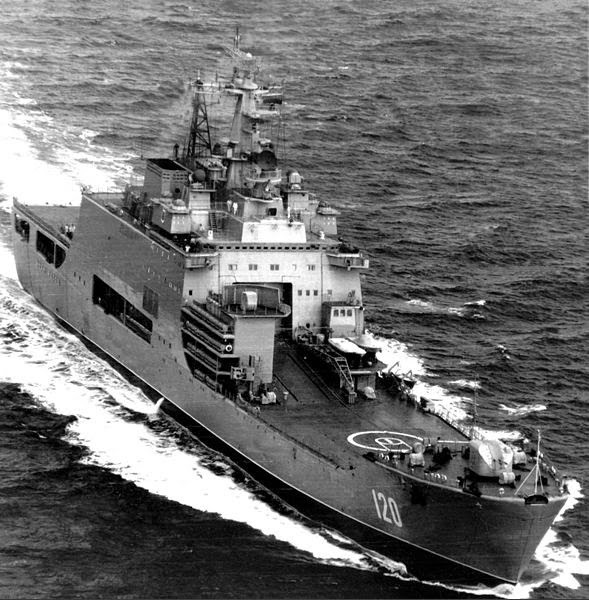 They were also not new to constructing helicopter carriers and aircraft carriers, examples of which includes the Project 1123 Kondor Moskva-class helicopter carriers and the Admiral Kuznetsov-class aircraft carriers. They have the means to design and construct satellites, space rockets and even complete space stations like the Soyuz and the Mir. They were the first to launch a satellite into earth orbit ( the Sputnik ) and the first to put a man in space ( Yuri Gargarin ) but now you tell me Mr Pootin has to beg Mr Hollande to sell him two miserable Mistrals which he could not have built himself? 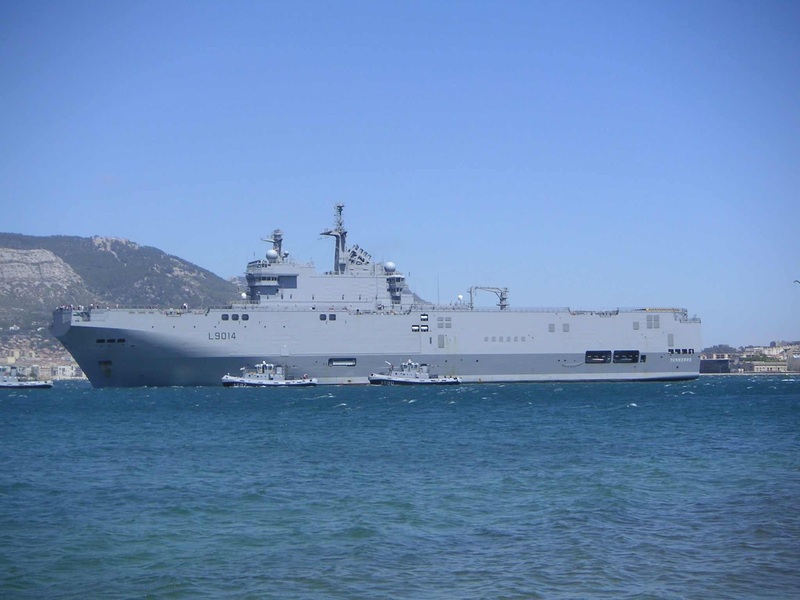 In today's world of out-sourcing and off-shoring, perhaps Pootin might have thought the French could build the amphibious assault ships more efficiently, given that they had already completed three ships which are currently serving with the French Navy, but it is not like him to admit that his own country is weak or incapable. That man has an ego as big as woolly mammoth's b****. 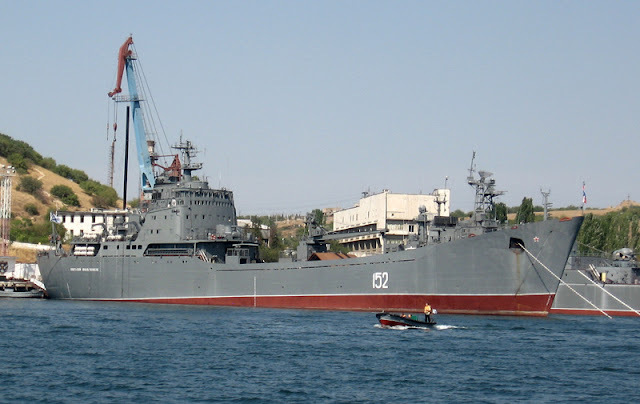 The truth might be that following the collapse of the Soviet Union in the early 90s, the Russian shipyards had been without any military orders for years and their industrial capacity might have deteriorated to such an extend it would not be easy for them to simply produce an amphibious assault ship on short order just like that. 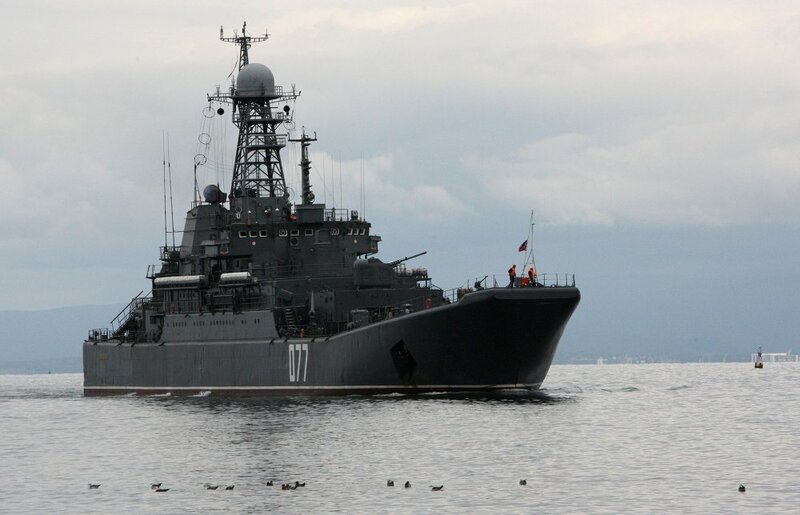 Indeed, the Ivan-Gren had been laid down in 2004 and will only be commissioned into the Russian Navy in 2015. A long latent period is not a good sign in ship building. If Pootin urgently needed the ships to invade Ukraine or the Baltic States, he jolly well has to buy them from somewhere. On the other hand, it might not be inconceivable that Russia really cannot build her own amphibious ships. It has recently come to light of Russia's torpedo troubles, having to halt production because of her undue past reliance on a Ukrainian company. Now if you cannot even produce the parts for torpedoes, what else are you good for? These ships don't come cheap. Poor Mr. Pootin had to cough out serious dough, something like €1.37 billion for the first two ships, with a separate option for two more subsequently, if he is satisfied with the first two. The money had been paid in advance, and it seemed that France was more in need of the deal than Russia. As it turned out, the shipyard that was constructing France's third Mistral and the two Russian Mistrals, STX-Europe of Saint-Nazaire, was in dire straits financially and badly needed the Russian contract to keep its work force employed. The Mistrals displace 21300 tonnes fully loaded, with a length of 199m and a beam of 32m. They are capable of operating any helicopter type flown by the French military, including the NH-90 medium helicopter and the AS-665 Tiger attack helicopter. The flight deck has six helicopter landing spots with the #1 landing spot rated to 33 tonnes for heavy lift helicopters and the hangar can hold 16 medium helicopters. In addition, the Mistrals can transport 450 troops and 70 vehicles, including light and medium tanks. They can carry with them four LCM type landing barges or two LCAC-type medium hovercrafts. The Mistrals can be used as helicopter carriers and amphibious assault transports, with secondary capabilities as command ships and naval hospital ships. 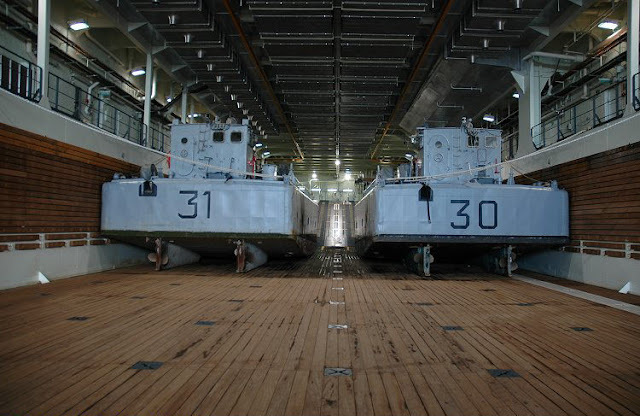 However, unlike the American LHDs and those operated by other navies like Australia's Canberra -class LHD, the Mistrals lack a ski-jump and cannot be used for operating fixed-wing aircraft. They are also lightly armed, with only four 12.7mm heavy machine guns and Mistral surface-to-air missiles in two Simbad launchers and provisions for the installation of two Breda Mauser 30mm naval guns. 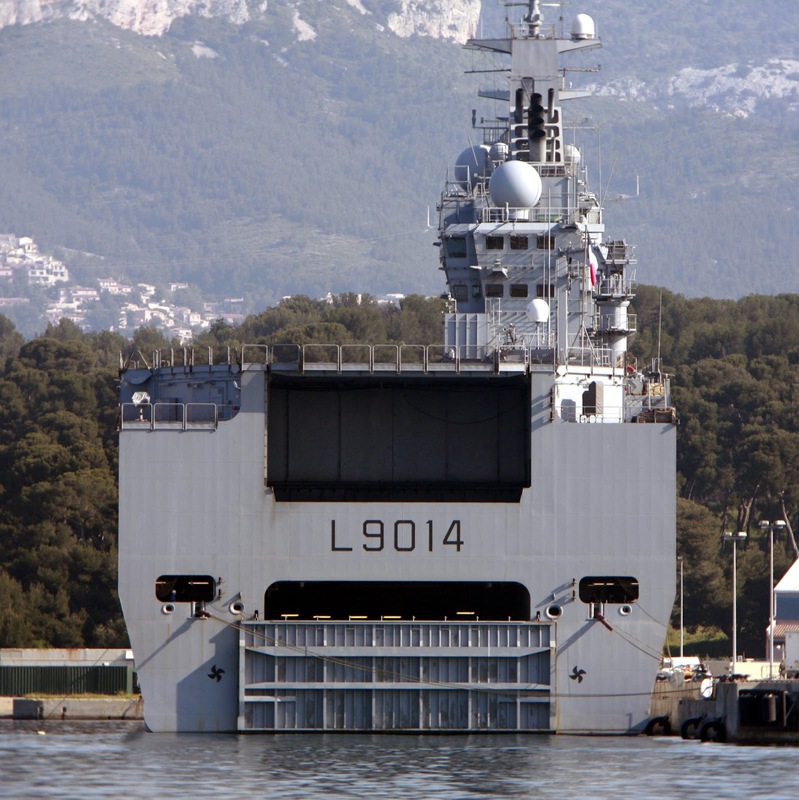 As such, the Mistral BPC cannot survive in a high threat environment and would require a protective task force of frigates and submarines when deployed. The Russian Mistrals differ sufficiently from the French Mistrals to qualify as a variant class. Potential ice hazards in the Pacific Fleet and the Northern Fleet's areas of operation meant that they will have to reinforced the hulls with special alloy metals to protect against damage from sea ice during Artic navigation. The well deck door at the aft portion of the ship will also be modified to close completely for protection during adverse weather conditions common in the extreme northern latitudes, unlike the original design which has an opening at the top even when shut. The height of the ship was also increased to accommodate Russian helicopters that require a bigger overhead clearance due to their intrinsic co-axial / twin-rotor design. The thickness of the flight deck are increased to accommodate the heavier Russian helicopters, a mix of sixteen Ka-52K and Ka-29. The Vladivostok-class will also be much more heavily armed than the Mistral-class and will have Russian communications equipment and radar installed. 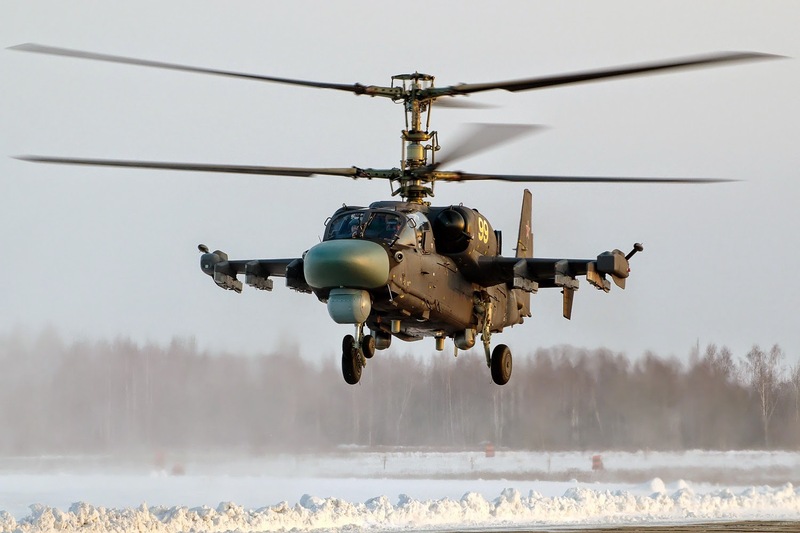 They will be carrying the Kamov KA-52K co-axial scout / attack helicopters which are navalised versions of the KA-52 Alligator ( NATO reporting name Hokum-B ), with folding rotors and wings to enable them to fit into ship hangars. These rotary crafts pack a serious anti-armour punch and can also carry short-range air-to-air missiles. The naval variant is capable of carrying two Kh-35 anti-ship missiles with a range of up to 300km or two Kh-38 high precision air-to-surface missiles with a 40km range. A total of 32 have been ordered for the Russian Navy in Aug 2014 to equip the Vladivostok and Sevastopol and they are due for delivery between 2017 and 2018. 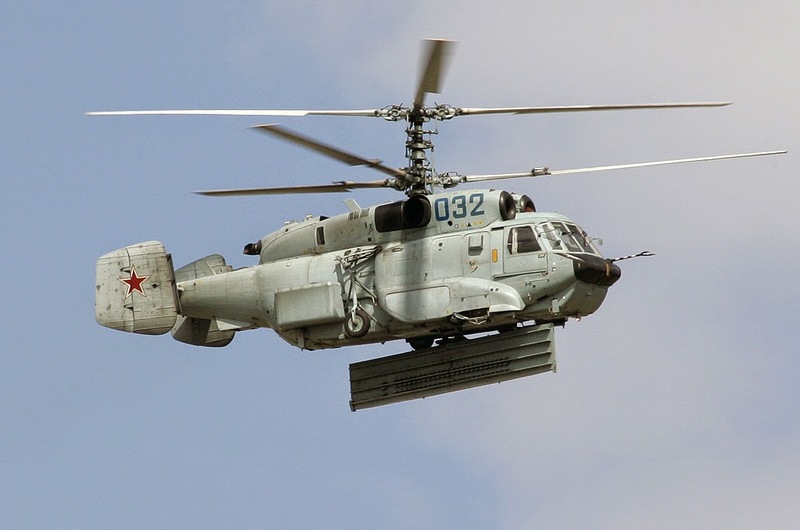 They will also likely carry the Kamov KA-29TB assault transport helicopters, the KA-27PL Helix in anti-submarine (ASW) and search and rescue (SAR) role and perhaps the KA-31 airborne early warning (AEW) helicopter. The Russian BPCs will of course also have more teeth compared to their French counterparts, given the Stalinian paranoia that seems to afflict every Russian that I know of. Instead of the Mistral SAM, the Russians would install their Gibka 3M-47 Gimlet naval air defense missile system, NATO reporting name SA-N-10, a navalised version of the SA-24 ( Igla 9K338 / Igla-S ) man portable missile. The missile has an effective range of 5km. Two Gibka systems will be installed. 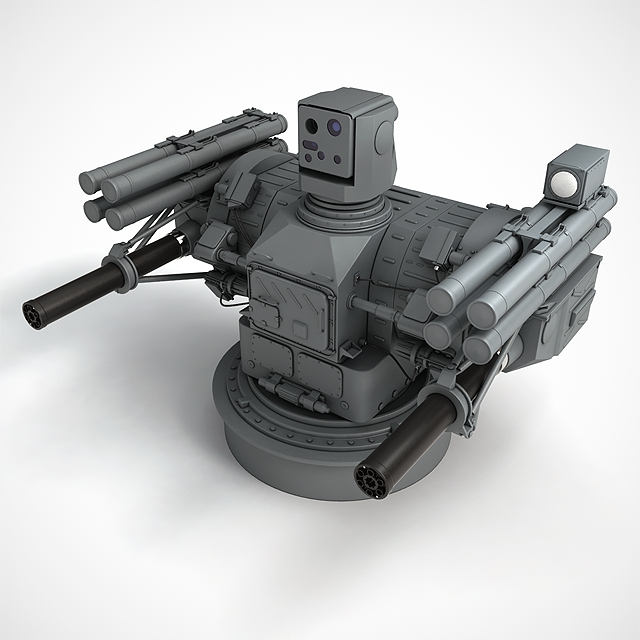 Having some kind of close-in weapon system (CIWS) like the American Mk15 Phalanx or the Dutch Goalkeeper for last ditch defense against shells and missiles would definitely be better than a quartet of centenarian Ma Deuce type machine guns that the Mistral totes. 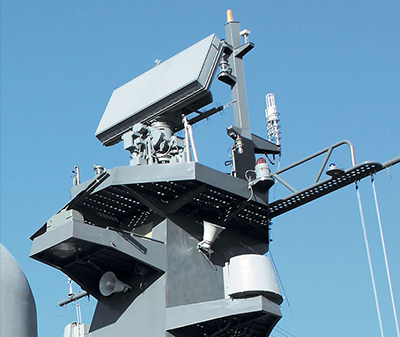 The Russians go a further step beyond just a gun based solution by selecting their newest Palma CIWS, a combined naval missile and gun system. The Palma is sometimes also referred to as the Palash naval air defense system. It is an all-weather, high precision ship defense system that packs two AO-18KD 6 barrel 30mm rotary autocannons combined with eight Sosna-R hypersonic missiles. According to IHS Jane's, the Sosna-R surface to air missile is a two-stage missile that carries two warheads totaling 7kg and two different fuzes. The first rod-fragmentation warhead has a proximity fuze while the second fragmentation warhead destroys its target on impact. The missile is radio-command guided during its boost phase, after which a laser beam riding guidance system takes over. The optical fire-control system makes the Sosna-R highly survivable, effective in clattered environments and difficult to jam. It has a range of up to 10km, maximum engagement altitude is 5km. 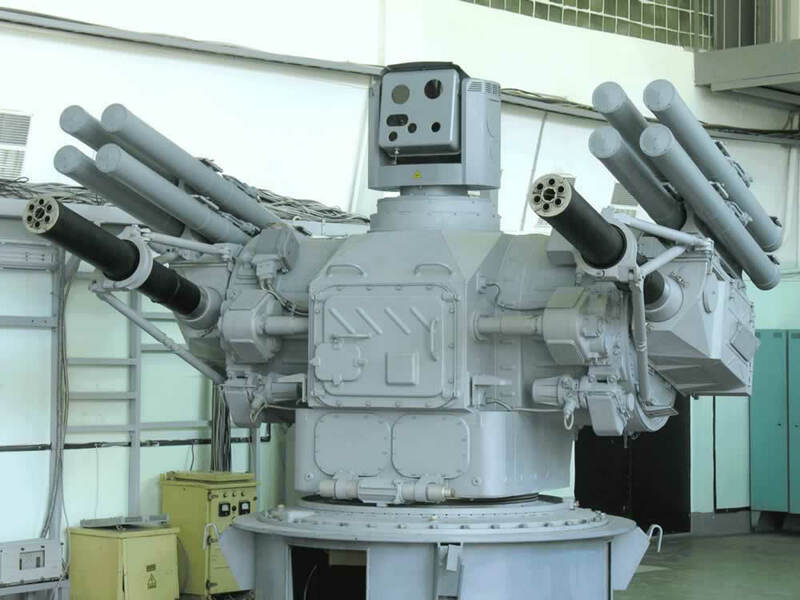 The Palma's 30mm cannons which has a rate of fire of 5000 rounds per minute each ( combined 10000 rds per min ) can shred aircraft, UAVs, incoming missiles and shells, small boats etc up to 3km in altitude and up to 4km away. Two Palma naval ADS will be installed on the Vladivostok-class. 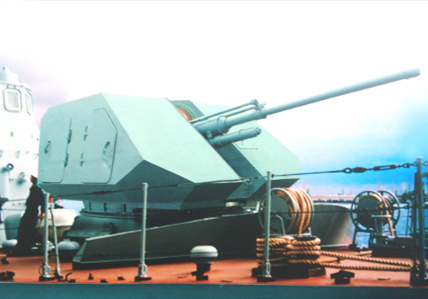 Unlike the Mistral which does not have any large calibre guns at all, the Russians will install the A-220M 57mm automatic rapid fire naval gun mount on the Vladivostok-class BPC. This could be useful against air and surface threats, anything that you would not want to waste a missile on. The Vladivostok-class will be fitted with the Positiv-ME1 3D shipbourne radar that operates in the X-Band. It can simultaneously track up to 50 targets and has a maximum detection range of 250km. The original Mistral-class lacks such powerful radars. Nothing is quite new here. Pootin cometh, Pootin see, Pootin like very much, Pootin take. Count yourself lucky if he didn't hurt or kill you in the process or afterwards. As the Vladivostok's sea trials were being concluded in the summer of 2014, a group of 400 Russian naval personnel arrived at Saint-Nazaire on their training vessel the Smolny to train on the BPC in groups of 200. They regularly took the BPC out to sea for joy rides and sea maneuvers. As the Ukrainian crisis dragged on and the likelihood of the non-delivery of the Vladivostok became higher and higher, the Russian hooligans attempted a hostile takeover of the ship right under the noses of the somewhat unsuspecting French. It has been reported that for a brief moment on the original official date of handover which was 14th Nov 2014, the Maritime Mobile Service Identity or MMSI of the Vladivostok was mysteriously changed without authorization, from French (227022600) to Russian (273549920), all this happening while the Russian thugs were trying to move their personal belongings from their training ship the Smolny to the Vladivostok. Then the Automatic Identification System (AIS) for ship tracking was also switched off. It didn't help when the official website of the port of Saint-Nazaire also listed a departure of the Vladivostok on 21st Nov without a return date, unlike the usual sea trial trips around the port. So the Vladivostok became Russian flagged and the Russians almost got away and underway to St. Petersburg if not for an alert social activist who spotted the change and alerted the French authorities. Thus the Russian crew were prevented from loading their belongings and by the next day the MMSI was again switched to the original French registration and the AIS system came back online as well. Was it a genuine attempt to steal the ship or just to test the reaction of the French? Needless to say DCNS and the French authorities became much more watchful on the BPC after that incident. The Russian sailors completed their training but without a ship to bring back were finally ordered to sail home in the Smolny on 18th Dec 2014. Bon Vent, or good riddance as we would say it in English. The French always seem to be able to express an unpleasant word so eloquently. You'll be surprised but there is actually a social media campaign group that rejoiced in the denial of the BPCs to Pootin. You can check it out yourself here http://nomistralsforputin.com . They have snippets of news and videos about the BPCs as they were being constructed right up to 18th Dec 2014 when the Russian mafia sailed home. It makes interesting reading. As the Vladivostok languishes at the docks, the Sevastopol nears completion. Very soon the French government would have two brand new BPCs on their hands with no immediate prospect of delivery to Russia as Pootin is not likely to get his paws of Ukraine anytime soon. 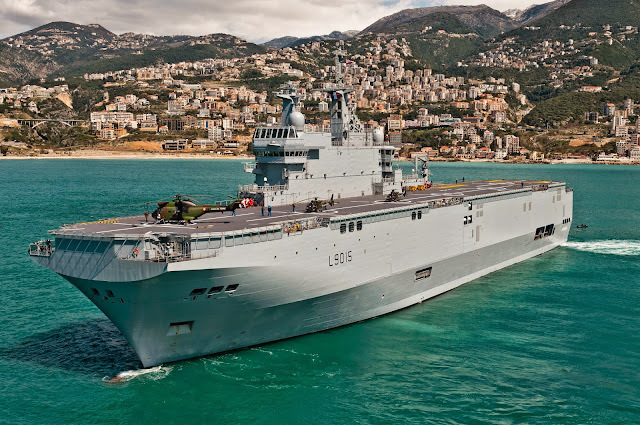 They could either integrate them into the French Navy ( which originally wanted to have four by the year 2020 ) or sell them off at a discount to some NATO ally like Canada or Poland, whom we know is interested in getting a smaller version of the Mistral (BPC 140). The original Mistral is BPC 210 (21000 tonnes). The fear is that by reneging on the Mistral delivery, other potential arms mega-deal like the Indian MRCA replacement involving 126 Rafale fighter aircraft might be compromised. They can also choose to keep the money already collected and do not pay any compensation for the broken deal. Give Pootin a taste of his own medicine, just remember to watch your back, especially as you walk across bridges, and do not accept any offers of tea, even from old acquaintances, under ANY circumstances. As expected, the Ukrainian Crisis continued through the year without any signs of slowing down. Russian backed rebels and Russian military personnel continued to clash with Ukrainian government troops in eastern Ukraine despite ceasefire agreements. Heavy weapons are used in the fighting, violating truce agreements. After protracted talks with the French government failed to secure the release of the two Russian Mistrals, is official that on 5th Aug 2015, Paris and Moscow terminated the contract for the delivery of the Mistrals. France promised to reimburse Russia all the money it had paid for the Mistrals, and negotiations continued regarding the exact penalty France has to pay. Three days ago on 27th Aug 2015, Sputnik News Agency reported that France had transferred a sum of € 900 million ( USD 1 billion ) to Russia as compensation for not delivering the ships. One would logically think that the payment would be on condition that France should be free to dispose of the ships as she wished. 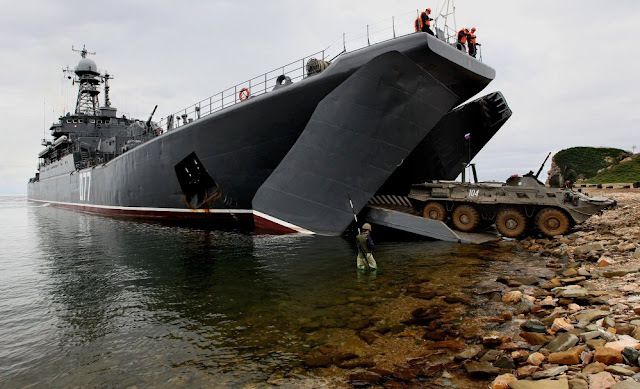 However, Sputnik quoted a high ranking source in Russia's Federal Service For Military-Technical Cooperation that despite the fact that France had transferred all the funds for failing to deliver the Mistrals, permission has not yet been given by Russia to export the ships. Things get complicated when we realise that Russian shipyards had been involved with 40% ( as they claimed ) of the construction of the Mistrals. The aft section of the hull being constructed in St Petersburg and then shipped on monster barges to Saint-Narzaire for integration with the forward section. They must also have been involved with some design work, especially those modifications specific to the Vladivostok-class and may have contributed to classified designs meant for the Russian Navy. So who owns which portion of the ship and who owns the intellectual property rights to the Vladivostok-class becomes a complicated issue. 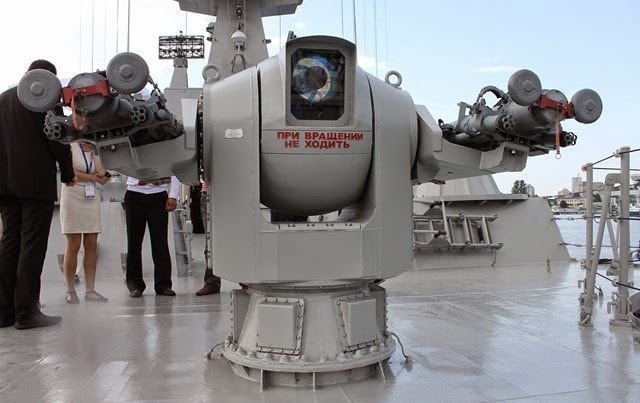 Russian equipment already installed on the Mistrals will also have to be removed by Russian engineers and technicians and that will be scheduled in September. In the end, the Vladivostok and the Sevastopol will be empty shells and the French government might as well scrap them. 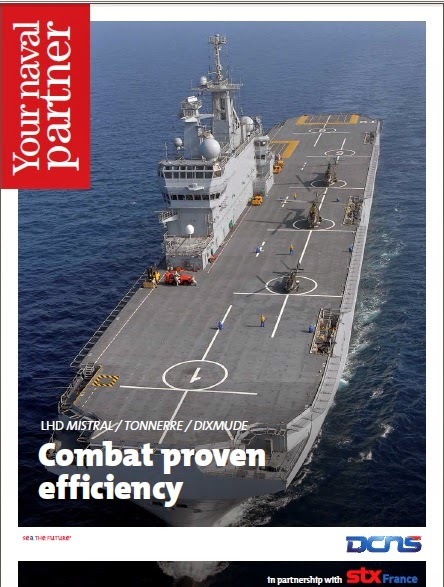 Looking at the brighter side, all this bickering around the Vladivostok and Sevastopol had probably generated lots of free publicity for DCNS and their Mistral BPC. As news of the termination of contract spreads, potential buyers are queuing up to pick up a good deal. Egypt and Saudi Arabia had expressed interest, and so did China, India, Vietnam and Brazil. The latest enquiry came form Malaysia! France certainly paid a heavy price for breaking the contract, but that is the only right thing to do in the face of Russia's naked aggression and land grabbing antics in the Black Sea. The Mistrals should never have been sold to Pootin in the first place, as the idiom says, a leopard never changes its spots. 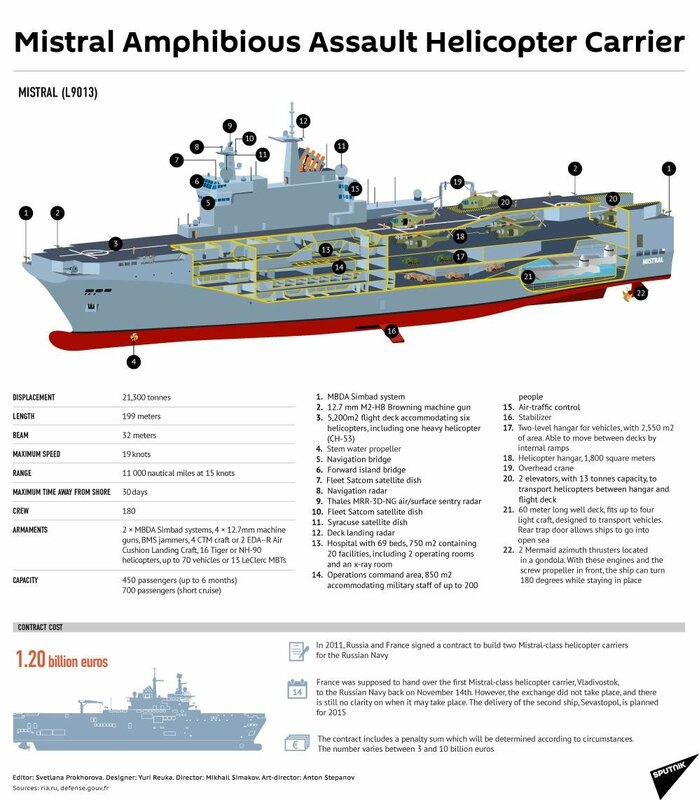 Now the Russians have the blueprints of the Mistral and they must also have had some form of technology transfer from DCNS, one of which is said to be in the form of Large-Block Assembly technology, a shipbuilding process in which parts of a large ship are constructed separately in different places, then erected together in a single dry dock to form the ship's hull. The process is an efficient way of creating large vessels, but is logistically challenging. They could easily construct an amphibious assault ship based on a similar design, just that it would take a slightly longer time. In fact that was just what they claimed they wanted to do - build a helicopter carrier, perhaps even nuclear powered, that is bigger, faster and far more powerful than the original Vladivostok, with air defense and submarine defense systems, without blatantly copying the Mistral's design. So far two designs have surfaced, the 24000 tonne Lavina helicopter carrier and the 14000 tonne Priboy Large Landing Ship, each could embark 16 and 8 helicopters respectively. I have a feeling this will not be the last we hear about the Russian Mistrals, and this article might be updated further when the time comes. On 23rd Sep 2015 the Office of the French President announced on their website that the two BPCs have been sold to Egypt for EUR950 million ( USD1 billion ), exactly the amount France had agreed to compensate Russia for the cancellation of the contract. IHS Jane's Defence Weekly even had a cover feature on its 30th Sep issue " Sevastosold! 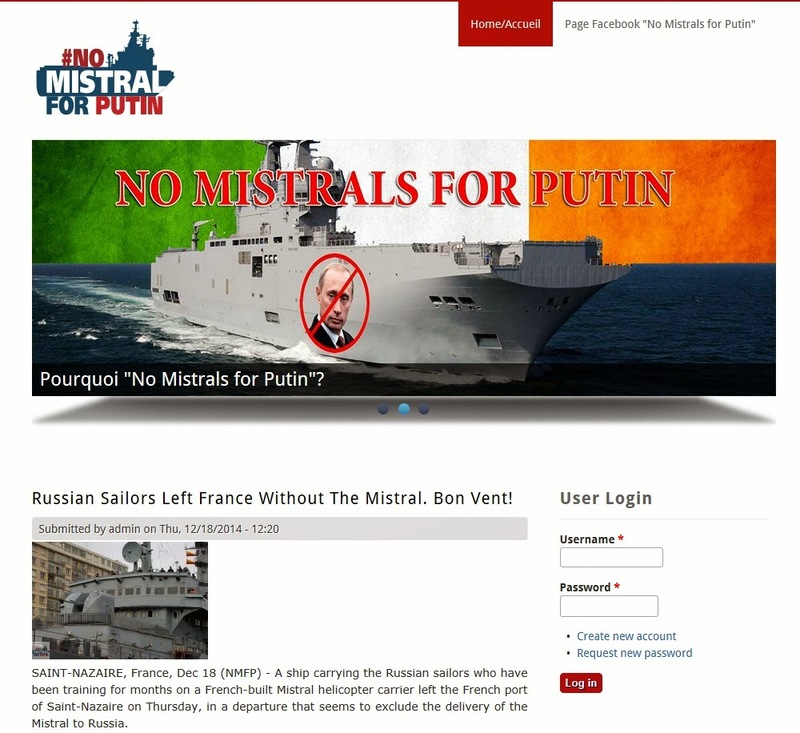 France sells Russia's Mistrals to Egypt ". Before the deal with the Egyptians was finalized, Malaysia, Saudi Arabia and the United Arab Emirates were all rumoured to be interested in snapping up one or both the Mistrals. Meanwhile, after splurging on 24 Rafale multi-role combat aircraft, a FREMM frigate and 4 Gowind 2500 corvettes earlier in 2015, Egypt continues its weapons acquisition spree, signing a contract with Russia for 46 Kamov Ka-52K Alligator attack helicopters ( naval variant ). Some of these helicopters will eventually find their way onto the decks of the Mistrals. Wow...i am so impressed with your articles. I think you wrote better the Janes Defence. Dear William, it is encouragement from readers like you that spur me on. Jane's for the hard facts and timely intelligence, Full Frame for the all rounded big picture! ...and juicy "insider news" included too, which are lacking in official publications like Janes.